Everybody knows the Oscar nominations will be announced Thursday, right? And everybody seems pretty clear on who will get those nominations this year. The website Gold Derby is in the prognostication biz, combining opinions from experts and regular old folks to come up with odds and predictions for the Golden Globes and the Emmys and the Screen Actors Guild and... Of course, the Big Kahuna, the Oscars. Gold Derby updates their odds as movies get released over the year, and today's predictions are that Lincoln will lead nominations with 12, Les Miz will be right behind with 11, and Life of Pi will pick up 9 nods. The Gold Derby crystal ball also sees 7 nominations for Zero Dark Thirty and 5 for Argo and Silver Linings Playbook. For Best Picture, predictions are a little tricky since no one knows exactly how many nominations there will be. The Academy opened it up a few years ago, allowing more than five for pictures with a certain percentage of the total votes. 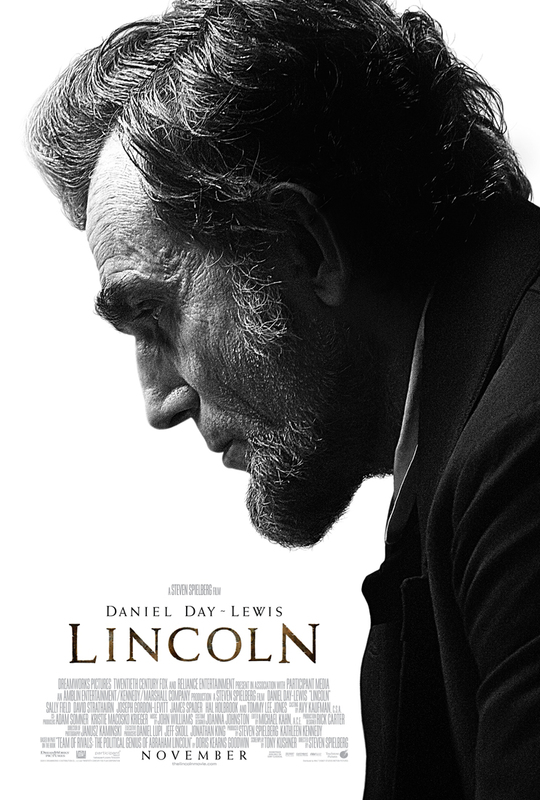 Gold Derby has ten: Lincoln, Argo, Zero Dark Thirty, Les Misérables, Silver Linings Playbook, Life of Pi, Django Unchained, Beasts of the Southern Wild, Moonrise Kingdom and Amour, in that order, with The Master as a dark horse coming up on the outside. Over at Huffington Post, Michael Hogan and Christopher Rosen are looking at eight, with Rosen thinking Skyfall will sneak in as a nominee instead of Beasts, Moonrise, or Amour. And IndieWire's Peter Knegt is hedging his bets with choices for five nominees (Lincoln, Argo, Zero, Les Miz and Silver) with extras Django, Pi, Beasts, Moonrise and Amour if the nominee list is expanded. 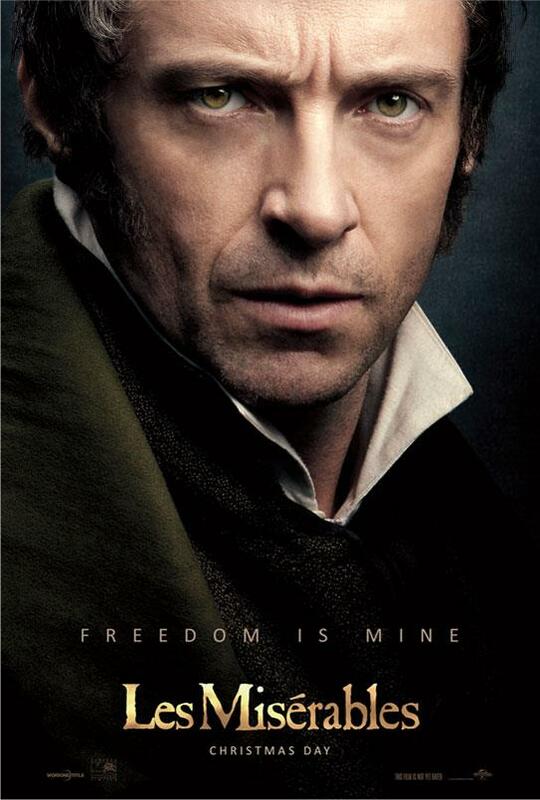 Everybody expects Best Actor nods to go to Daniel Day-Lewis for Lincoln, Hugh Jackman for Les Misérables, Denzel Washington for Flight and John Hawkes for The Sessions. Who will get the last slot? Bradley Cooper for Silver Linings Playbook? Or Joaquin Phoenix for The Master? Cooper seems to be the name on most lists. Sorry, Bill Murray (Hyde Park on the Hudson) and Anthony Hopkins (Hitchcock). According to the those in the know, your name will not be called on Thursday. How about Best Actress? To be perfectly honest, the Best Actress race is seldom as interesting as the one for Best Actor, mostly because Hollywood banks on movies with men front and center. (See the poster images accompanying this article. Boys, boys, boys. Oh well.) 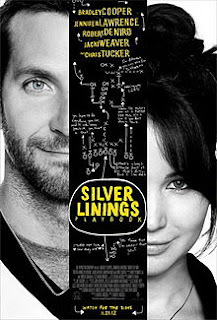 Youngsters Jennifer Lawrence (who gets half a face on the poster of Silver Linings Playbook) and Jessica Chastain (Zero Dark Thirty) are expected to duke it out for the win, with Marion Cotillard (Rust and Bone), Naomi Watts (The Impossible) and Emmanuelle Riva (Amour) as also-rans, according to Gold Derby. At HuffPo, Rosen is picking Quvenzhané Wallis (Beasts of the Southern Wild) instead of Riva for the last slot, while IndieWire is on board with Riva, but picks Wallis instead of Cotillard. It would be fun to hear last year's Best Actor winner Jean Dujardin say Quvenzhané, wouldn't it? The Best Supporting Actor field should include Lincoln's Tommy Lee Jones, Philip Seymour Hoffman from The Master, Robert DeNiro in Silver Linings Playbook, Alan Arkin for Argo and either Leonardo DiCaprio, Samuel L. Jackson or Christoph Waltz from Django Unchained, if the experts are correct. It's kind of a wild race, given all those Django choices plus Eddie Redmayne from Les Miz and Javier Bardem from Skyfall and maybe... Matthew McConaughey as a veteran stripper in Magic Mike? You gotta be kidding, right? 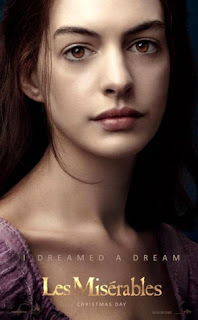 Supporting Actress isn't any more settled, although Anne Hathaway and her Les Misérables haircut are expected to lead the pack. (Hathaway is shown at right on a different Les Miz poster, pre-haircut.) Sally Field is probably a shoe-in as Mrs. Lincoln in Lincoln, and Helen Hunt (The Sessions) and Amy Adams (The Master) are front-runners for spots 3 and 4. Maggie Smith, as a cranky oldster in Best Exotic Marigold Hotel, was expected to roll right into this category, although Nicole Kidman's surprise Golden Globe nomination for The Paperboy has some thinking she may be able to push Dame Maggie to the side. And how about Samantha Barks as Eponine in Les Misérables? Or a different Dame, Judi Dench in Skyfall? I actually liked Dench better than Smith in Best Exotic Marigold, but Smith does have the Downton Abbey fans on her side. I guess we'll see on Thursday. And last, the Best Director race centers on Steven Spielberg, whose Lincoln is the prestige pic of the year, followed by Ben Affleck for Argo (the Academy does tend to get behind actors-turned-director), Kathryn Bigelow for Zero Dark Thirty and Ang Lee for Life of Pi. It's always that last spot that gets tricky. Gold Derby gives it to Tom Hooper for Les Miz, but the HuffPo guys think it'll be David O. Russell for Silver Linings Playbook, and IndieWire is going out on a limb with Quentin Tarantino for Django. I think I'm with Gold Derby on this one. Hooper got a Directors Guild nomination, announced just this morning, giving him the inside track on an Oscar nom, as well. Who will win? Let's save that for after the nominations are announced. That will be Thursday, January 10, at 5:30 in the morning in Hollywood. That's 7:30 am for us. You can get the scoop on the Oscar website just as soon as Seth MacFarlane and Emma Stone announce them.
" Everybody knows the Oscar nominations will be announced Thursday, right? " I somehow didn't! I think my mind is still stuck in the old last-millennium schedule, whereby nominees are announced in mid-February, for an award ceremony sometime in April. How things rush along now! Over on NPR's Pop Culture Happy Hour (a weekly podcast I recommend to AFS readers), Linda Holmes rashly predicted the big 5 winners, cheerfully admitting that she was quite likely to get everything wrong: Lincoln. Chastain, Day-Lewis, Hathaway, Hoffman. Done and done. I have no idea myself, but I would like to see Moonrise Kingdom get something. 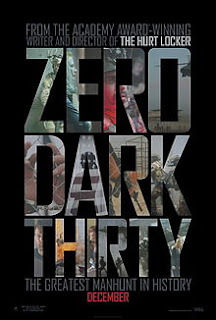 Original Screenplay? Gold Derby thinks Jennifer Lawrence is more likely to win than Jessica Chastain (35% chance to 27% chance), and that Tommy Lee Jones (32% chance) is the favorite over PSH (23% chance). Otherwise Linda Holmes' picks are right on target with their odds. I don't know, personally. Although at the moment Hathaway and DDL seem like locks, but apparently Sally Fields gave such a lovely speech while accepting some other award that now the pundits think she has more of a shot at winning. I find Anne Hathaway's ubiquitous appearances in support of her Oscar chances rather off-putting, so I think I'll root for Sally. 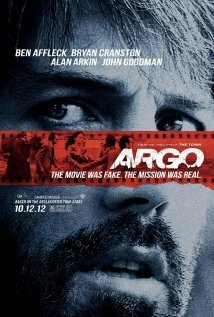 The only one I'd really like to see win is Alan Arkin for Argo. And, yes, something for Moonrise Kingdom. It wasn't by the art direction people for their own awards, which is very sad. That's the one award it ought to win hands down. And please excuse me for saying Fields instead of Field. ARGH.